There is like a war going on between DTH companies and everybody wants to be the best. But when you start comparing all the services then you will come to know which service is good in specific field and which one is lacking behind. So here I am going to compare two newest services in this DTH companies war and they are Tata Sky and Airtel Digital. It will not be wrong to say that they do give excellent service as they provide you with more than 160 channels with great features and they will provide you with good number HD channels. The starter package from Tata Sky is cheaper, starting at Rs 1,400 and depending on the features you want, it can be more. This is the very reason that Tata Sky is quite famous among many people. The service is very affordable and the customer service is exceptionally good. In addition, Tata Sky has an online recharging facility and if you're tech savvy, you should definitely go for Tata Sky plus it has great network with more transponders. You can change the channels at a faster rate. This provider uses enhanced technology and provides you features as pausing and rewinding, two features that are only available from this DTH service provider. Even though the services are good but they have got lesser number of channels (SD + HD). It has been reported that Tata is having some space crunch, may be because of which they are not able to add new channels and hence pushing more channels in limited "space" or you can say bandwidth, so the PQ is lower. It is not using the latest technology, I mean to say that they are using INSAT 4A with MPEG2 as compared to MPEG4, but that really does not make a huge difference to Picture quality. Channel packages offered by Tata sky are very expensive and also there is no professional installation, the look of the set top box is not sleek when compared to Airtel Digital set top box. Airtel has started its DTH services with 175 channels. I will say that their service is really good and fast and also they have got more number of channels plus they have also better picture quality for normal channels and the price is cheaper than Tatasky. New subscribers to Airtel purchase a starter package that costs Rs 2,500. For me it is in budget if you want to have good amount of channels and the same is not applied to Tata Sky as it is very expensive. 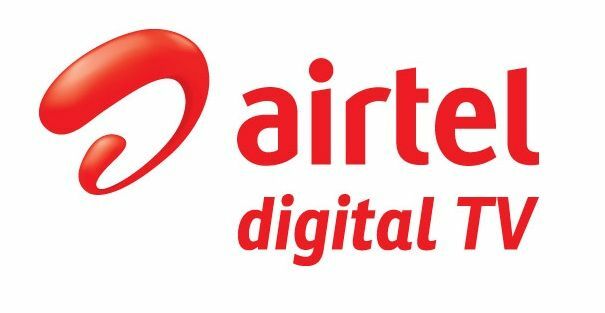 The technology used by Airtel DTH is the advanced MPEG-4 along with DVB S2 technology along with HD ready, it has been observed that most of set-top boxes don't work in bad weathers such as storm rainy days, but Airtel Digital does. Some of the unique features are that you can also book cinema tickets of your favorite movie, make tele-shopping, browse and travel holiday packages, watch on-screen watch details and much more. Airtel Digital TV will provide you with excellent professional installation with 90% strength signal showing. The updating of the channels is good, but overall the service of customer care is not that great. It have been reported that because of incorrect settings on channels it leads to issues while viewing different channels. Airtel DTH has online recharge facility but it has fewer transponders. Sadly it takes 1 to 2 seconds for a channel change.